Join us as we welcome legendary poet-troubadour Donovan to the Clive Davis Theater at The GRAMMY Museum. Donovan began his career as an itinerant folk musician, creating acoustic hits in 1965 with the gentle Catch The Wind and Colours. From 1966 through 1969, Donovan scored a string of 11 Top 40 hits in a row, including Sunshine Superman, The Hurdy Gurdy Man and Lalena. Over his 45- year career span, Donovan worked with The Beatles on the song Yellow Submarine and played with folk music greats Pete Seeger and Bob Dylan, as well as rock musicians Jimmy Page of Led Zeppelin and Brian Jones of the Rolling Stones. In more recent years, Donovan completed the album Beat Café and a book, The Autobiography of Donovan: The Hurdy Gurdy Man. 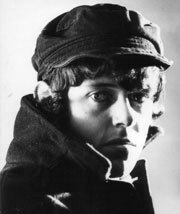 And, on April 14, 2012, Donovan's extraordinary accomplishments will be celebrated with an induction into the Rock and Roll Hall of Fame. Hear Donovan in discussion about his thoughts on the induction, his success as a hit writer and what's next for the Scottish icon. After the interview, moderated by GRAMMY Museum Executive Director Bob Santelli, Donovan will take audience questions and perform a selection of songs.